You will be met at the airport by Steve Laurent and his staff. 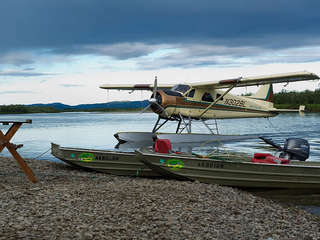 Once all of your baggage has been claimed, you will be driven to Lake Aleknagik, where you will board one of the lodge’s covered boats for a short and scenic ride to the lodge. 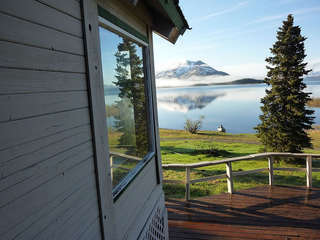 The total time to drive to Lake Aleknagik and take the boat to the lodge is approximately one hour. 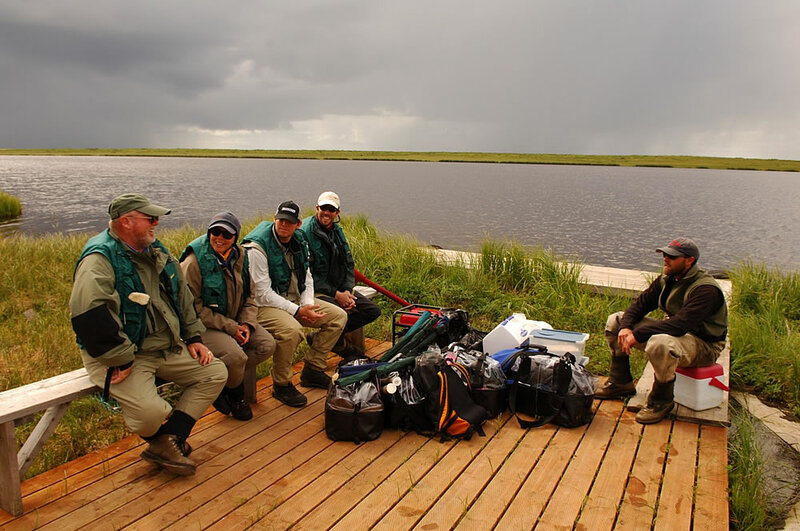 You will be greeted on the dock by our staff, and escorted to the lodge where you will enjoy a filling lunch while your bags are placed in your room or cabin. 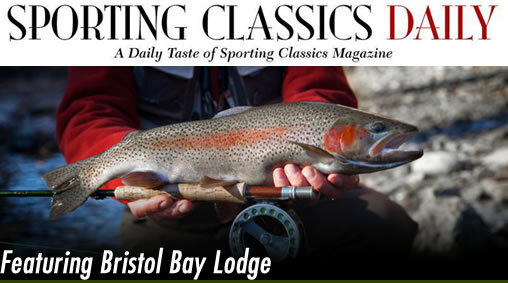 Afterwards you will receive a comprehensive orientation by Steve Laurent, Bristol Bay Lodge’s general manager. You will then meet with an assigned guide, who will prepare you for the rest of your day. 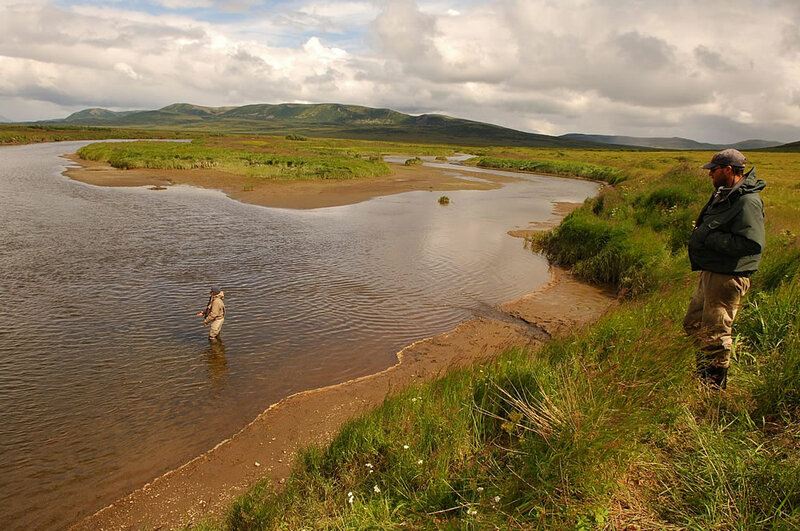 You will either spend the afternoon fishing the legendary Agulawok river, or depart for one of our exclusive overnight camps. 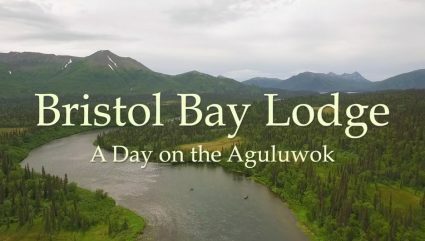 If you fish locally, you will return to the lodge at 5:30, and be treated to cocktails, hors d’oeuvres, and a sumptuous meal before learning about the following day. 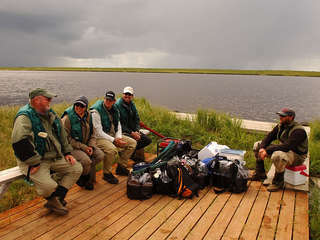 If you go to camp, you’ll be met by your guides at the destination, and escorted to the camp where you’ll fish into the evening, spend the night, and fish the next day. You will return to the lodge the next evening, after a full day of fishing. Because we believe in being prepared, your next day always begins the night before! 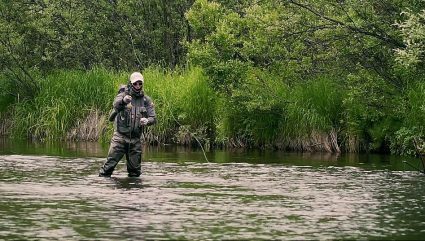 Whether day-fishing from the lodge, or spending the night at one of our overnight camps, you will be told what to expect, what to pack, and what rods, tackle and flies you will need for a successful day on the water. 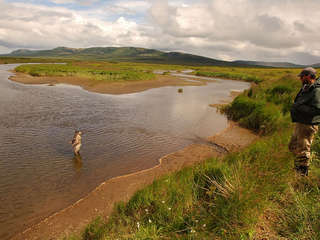 Your tackle will be inspected and made ready for whatever situation might arise. 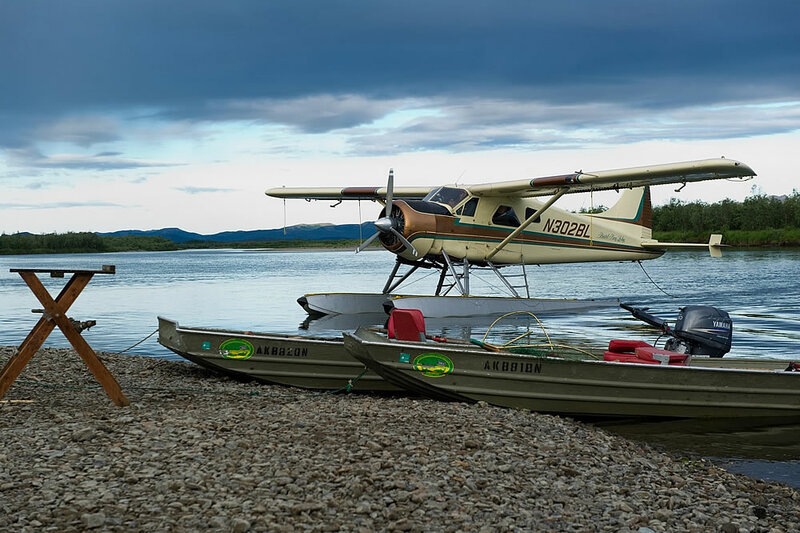 At 8:00 AM, after a hearty breakfast, you will depart from the lodge by boat, or in one of our three de Havilland Beavers. 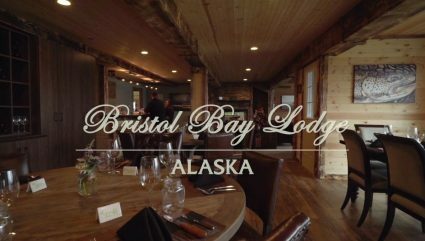 After an enjoyable day on the water, with a memorable shore lunch, you will return to the lodge by 5:30 PM. Before dinner, which is usually served between 7 and 7:30 PM, you might enjoy a soak in the hot tub, or a steam in our sauna, followed by cocktails and hors d’oeuvres. On the day of your departure, while you enjoy breakfast, your packed bags will be sent ahead of you to the airport. 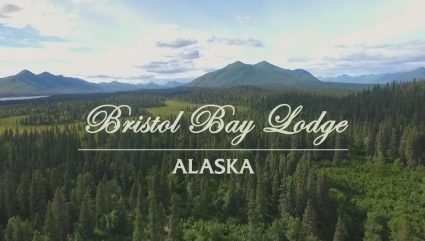 You will depart the lodge at 7:00 AM for Dillingham, where you will be taken to the airport for your departing flight to Anchorage, and home. 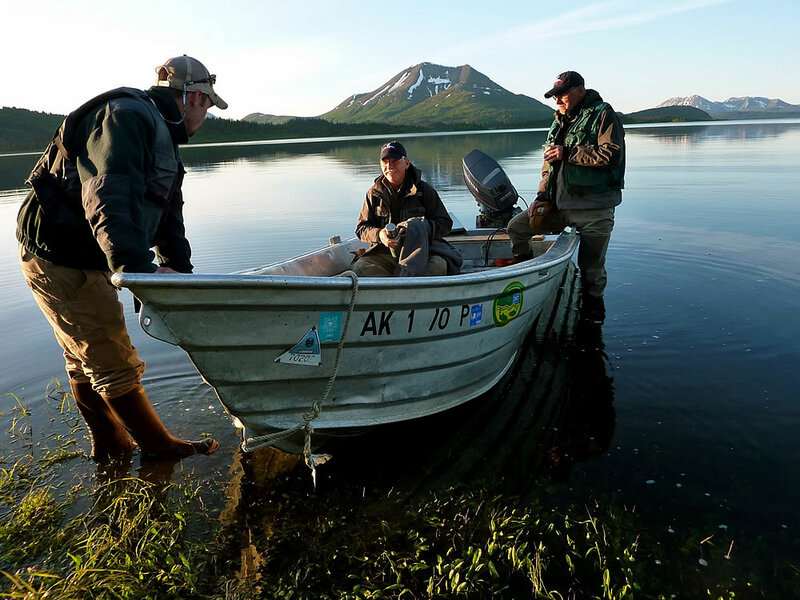 If you harvest your limit of Pacific Salmon, they will be delivered to the airport, frozen, in a sealed waxed box, and checked with your baggage. Click on the images below to view slideshow gallery.